Spreading the Music is proud to have their first in house professional ensemble, featuring Kebly Sappington (Flute), Jennie Lavine (Clarinet), Candace Crawford (Oboe, English Horn, Piano). Our trio actively performs workshops for conducting, audience development, instrumental introduction and inspiring performances for surrounding schools, community centers and nursing homes. We also play weddings! Check out our page for more info. Born and raised in Orange County, Virginia, Kelby first picked up the flute at the age of eleven when she joined her middle school band. Under the tutelage of her middle and high school directors, Nicole Miller, Jeffrey Tylutki, and Lauren Visel, Kelby excelled as a flautist, and in 2009 she was selected to attend the Virginia Summer Residential Governor’s School for Visual and Performing Arts. By her senior year, Kelby became the first student from her high school to make the Virginia All State Band and Orchestra. After high school, Kelby received the Courtney Adams Music Scholarship to attend Franklin and Marshall College to study music. Upon graduation from Franklin & Marshall, Kelby was accepted to the 2014 Teach for America Corps, where she went on to teach high school band and general music in Humphreys County, Mississippi. Over the next two years in Mississippi, Kelby discovered a passion in teaching music to students of low-income communities. 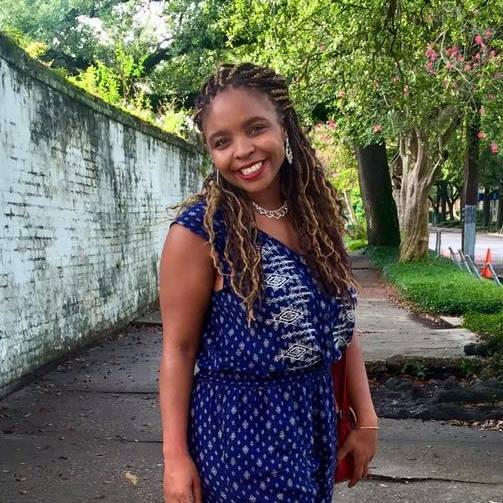 After finishing her two years in Mississippi, Kelby moved to New Orleans to teach music and take in the rich and diverse music culture, and she looks forward to continue sharing her passion of music with her students here. Jennie Lavine is a classical, jazz, and klezmer clarinetist. She is the founder of Klezmephonic, an Ann Arbor-based klezmer band, and plays with a couple of jazz combos. She has played in swing, blues, and klezmer groups in her previous hometowns and with the Capitol City Opera Company in the Atlanta area. Jennie has a Bachelor’s degree from Emory University, where she had the good fortune of studying clarinet with Ted Gurch, assistant principal clarinet of the Atlanta symphony. She also studied with Richard Faria, professor of clarinet at the Ithaca College school of music, for six years. Candace Crawford is the owner and founder of Spreading the Music Schools and a private music teacher. She graduated with her bachelors in Music Education and Oboe Performance at the outstanding Ithaca College in Ithaca, N.Y. She specializes in oboe/English horn, violin and piano and has an extended private music studio. Ms. Crawford has a wide range of experience in teaching large bands and orchestras, chamber music, instrument specific sectionals and group lessons, All-County and All-State preparation, conducting, instrumental repair and reed making. Her goal is to continue to dynamically spread the music to all who will listen. Her deep passion for a high quality teaching, in-depth lessons, planned instruction, and inspiring both student and teachers continues to drive her to increase enrollment and create innovative classes. Ms. Crawford can be contacted at ccconservatory@gmail.com. Please contact her directly if you have any questions or concerns about enrollment, billing, teacher pairing, classes or events.